Lien Chieh Machinery (LCM) has long understood the usefulness and versatility of Plywood Presses for a wide range of industrial applications. They are typically used to fix together multiple layers of plywood, increasing the strength and durability of the wood. Hydraulic Plywood Press Machines are also well suited to compress a large number of pieces of wood together, and can incorporate automatic conveyor systems for quick and easy loading and unloading. 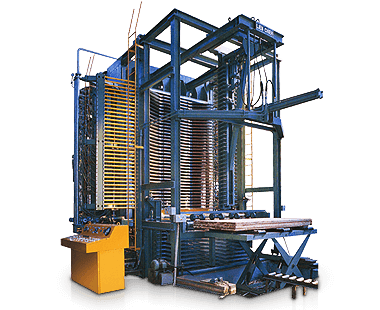 LCM can produce both Hot and Cold Plywood Press machines for specialized pressing operations. With the continual development of new manufacturing processes and procedures, LCM aims to manufacture the most efficient and productive Hydraulic Presses on the market. We always strive to work closely with our customers, so that we can custom design Presses that completely meet our customers’ requirements and always offer the exceptional performance that we are known for. As a leading Hydraulic Press and Press Maker, LCM is continually upgrading the designs and features of our machines. Our Hydraulic Plywood Presses are no exception as we now offer a range of different designs and accessories, to give all our customers a distinct competitive advantage.